Bathroom fixtures: One way to give your small bathroom room is to go with a wall-mounted washbasin with a wooden shelf underneath to hold supplies, and a towel bar. Or a petite vanity style sinks with a single drawer and a place where you can have baskets underneath to hold bathroom content. Even wall mounted toilets, can give you the extra space needed in your tiny bathroom. These compact commode tanks is hidden inside the 2×6 stud wall, allowing for 9 inches of extra space in the center of the room. Or get space in a small square bath by positioning the vanity sink in a corner. Storage for your bathroom items: To store bathroom items without taking up much space is to install floor to ceiling cabinets, or built-in cabinets using open shelves, closed doors or both. Also the use of medicine cabinets for additional storage is a great way to store your essentials that can eliminate shelves or cabinet spaces. Illumination : Use a glass shower wall or door to eliminate the visual barrier of a shower curtain or doors giving your compact bathroom look and feel more roomier. Other tricks you can do that will give a bigger impression is to use lighting around large bathroom mirrors illuminating any reflection. Mirrors reflect the style and substance of any room. Lighting it up: Make your small bathroom light up! Using shower lights , wall mounted lights to overhead hanging lights will bring functionality and brightness to any size bathrooms. Also add skylights to bring in natural light if a window is not present in your bathroom. 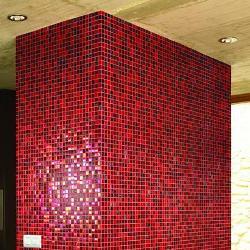 Tile it right: Create attention by setting focal points in compact spaces. Using glass tiles or marble mosaic tiles can create a shimmering backdrop behind sinks, Create a colorful pattern or use rich tones to add warmth and create balance. Make an illusion of a higher ceiling. Wood moldings,wallpaper borders, and tile designs placed where the walls and ceiling meet will also provide a splash of color and help naturally draw the eye upward. 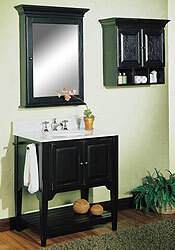 Making a big splash in your tiny bath by treating it with chic fixtures and alluring finishes. Look to colorful fabrics like glass or mosaic tiles, updated fixtures with space saving ones, and storage spaces to help your tiny bath bubble with greatness. Probably one of the biggest benefits you’ll enjoy when you remodel the bathroom in your home is an increase in the home value. When you remodel the bathroom, you end up with an even better home, and larger remodeling projects can really make a difference in the amount that your home is worth.